New website for an established business in Swansea providing a complete design and installation service for aluminium and stainless steel silo systems. The client supplied a brochure and several photographs. 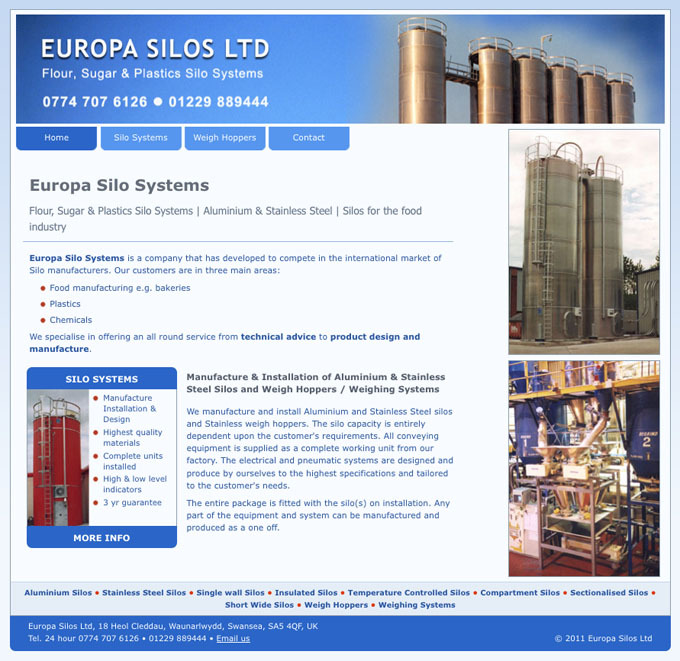 The site was built using this material and optimised for the search engines and has achieved top positions for searches such as *aluminium silo systems*, *stainless steel silo systems*, *flour silos*, *stainless steel silos*, *aluminium silos* and *weigh hoppers*.